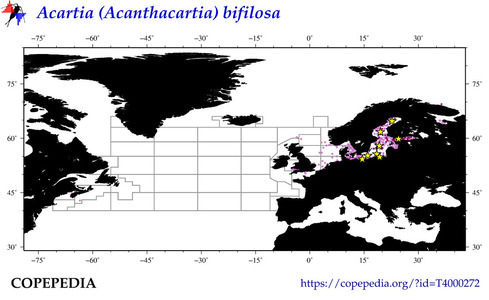 BLUE STARS show locations of any time series reporting this taxa or group (~ 19 sites globally). 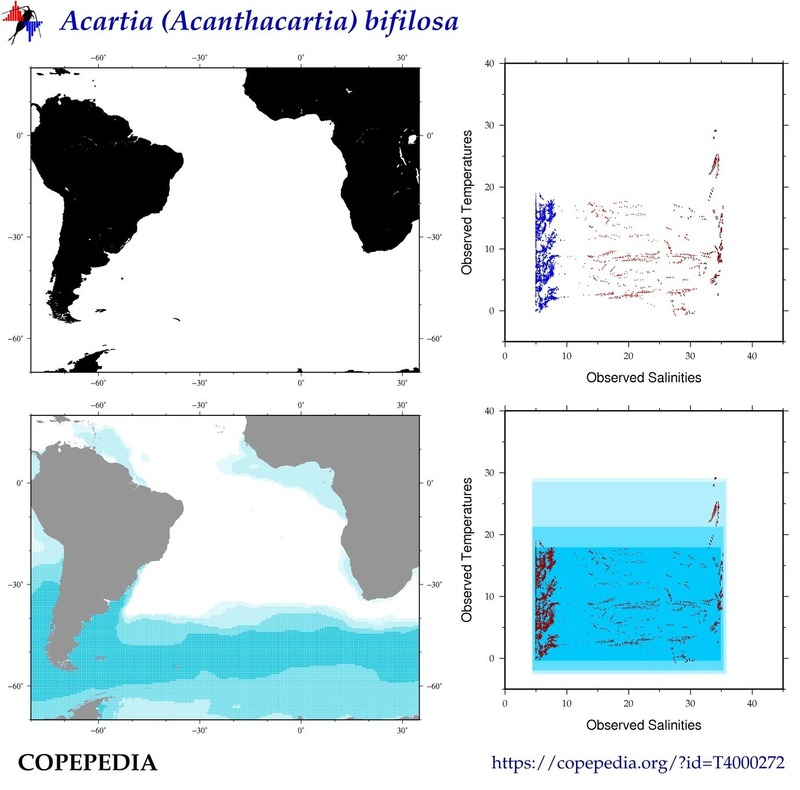 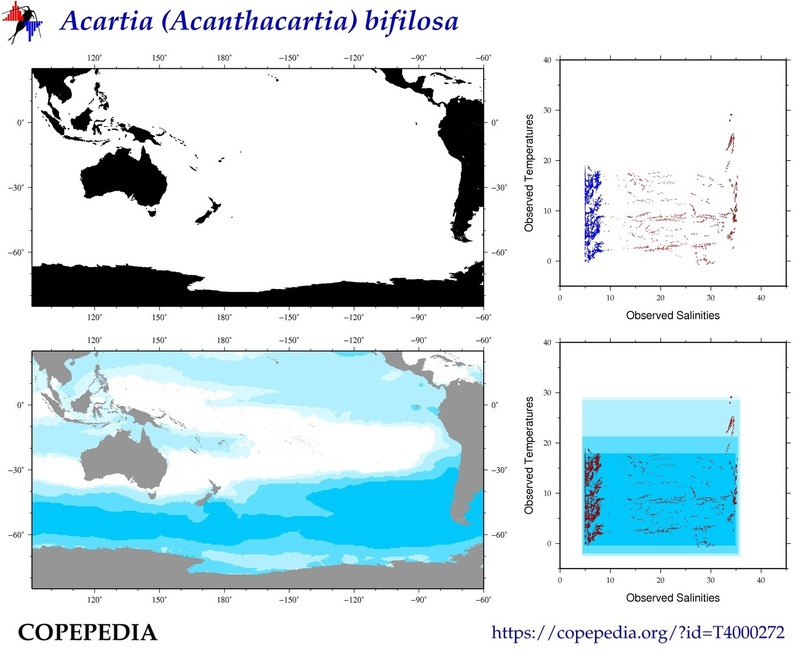 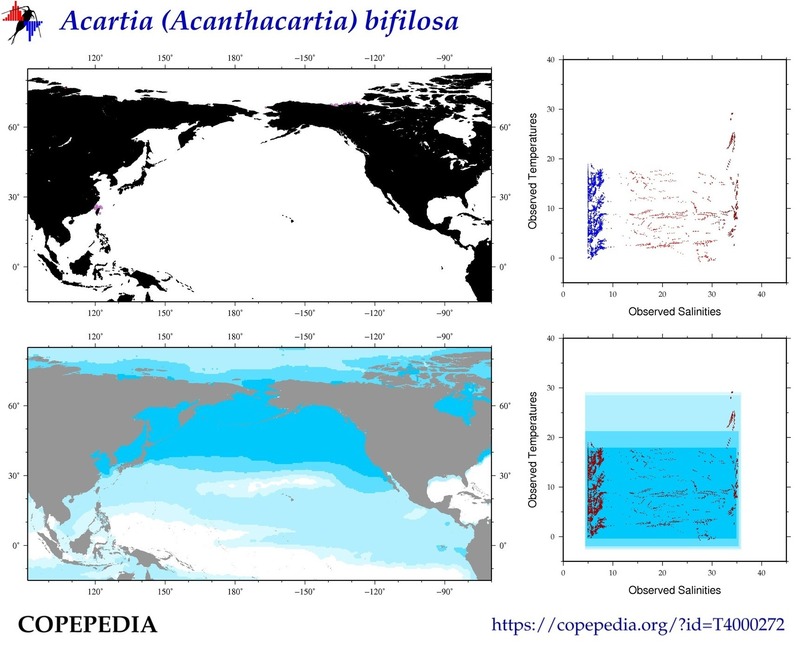 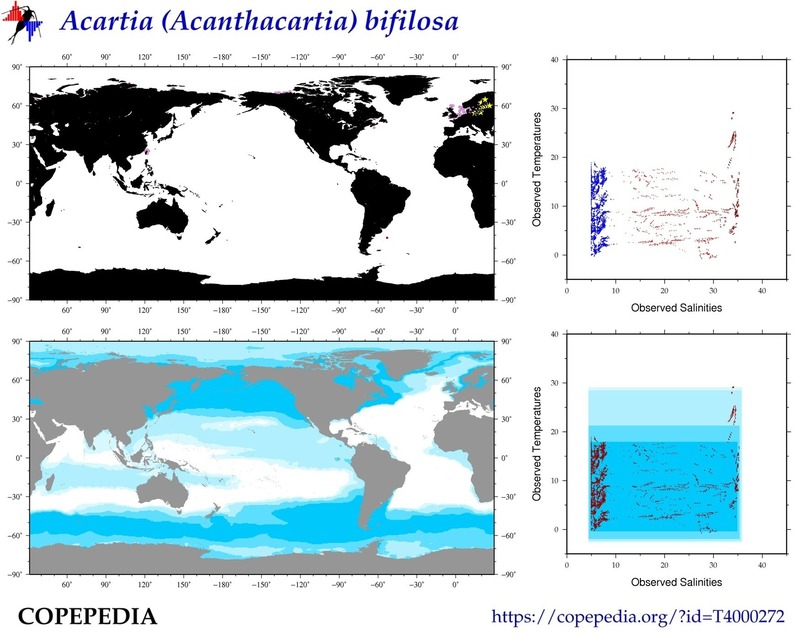 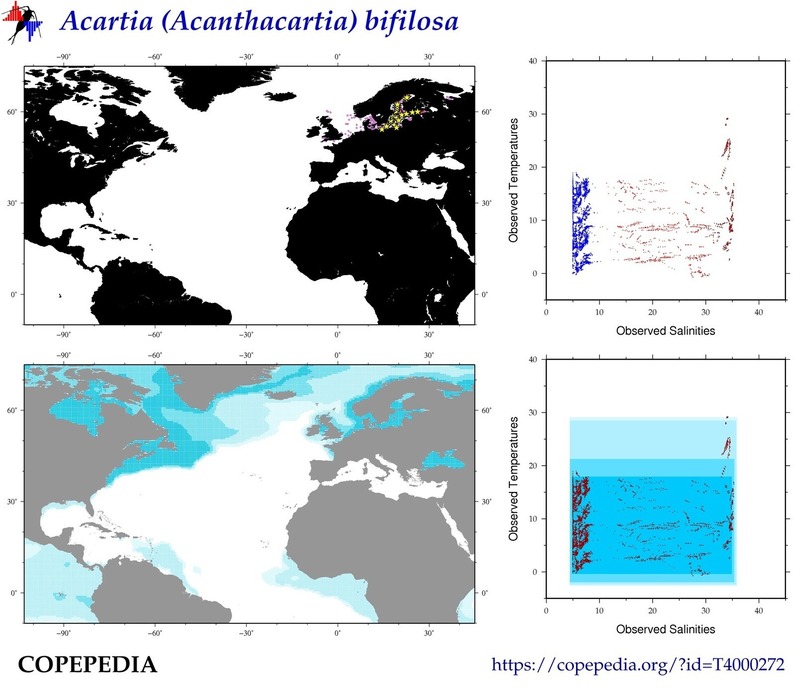 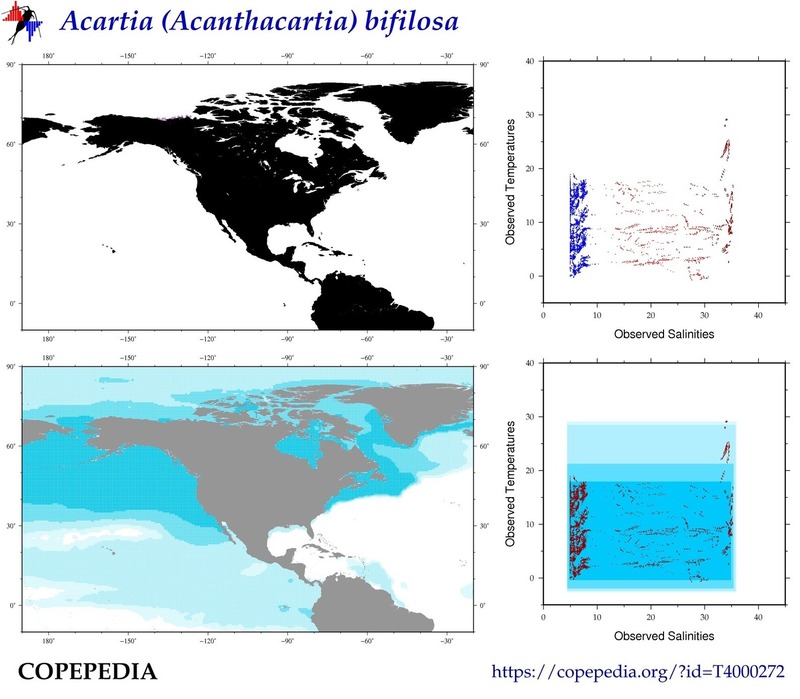 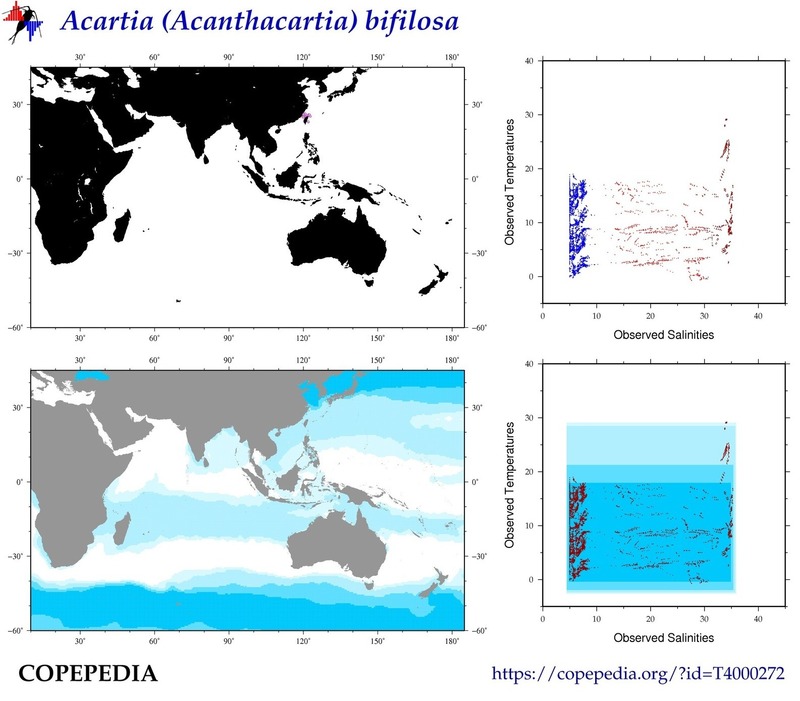 Time Series that contain Acartia (Acanthacartia) bifilosa (or its taxonomic siblings). 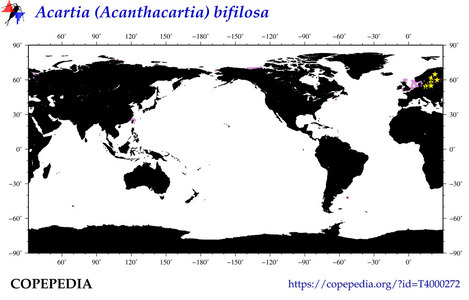 # of Observations Known data sets that contain (Acartia (Acanthacartia) bifilosa).